DETROIT (WXYZ) - Wayne State University Police say Officer Collin Rose has died after being shot on Tuesday night. Rose, 29, was on life support at Detroit Receiving Hospital after he was shot in the head after stopping someone on a bicycle near Lincoln and Brainard around 6:30 p.m. Tuesday. He died just after 5 p.m. Wednesday. "The family members of Collin Rose want to thank everyone for their outpouring of support. Collin loves working at Wayne State and has enjoyed the challenges of being a canine handler. We're thankful his two canine partners were not harmed and appreciate the regional law enforcement response to the crime scene. We are optimistic about his recovery and ask for your prayers during this time." Rose has been with the Wayne State University Police Department for five years. "This is a tragedy of immense proportions," said Dr. M. Roy Wilson, president of Wayne State University. 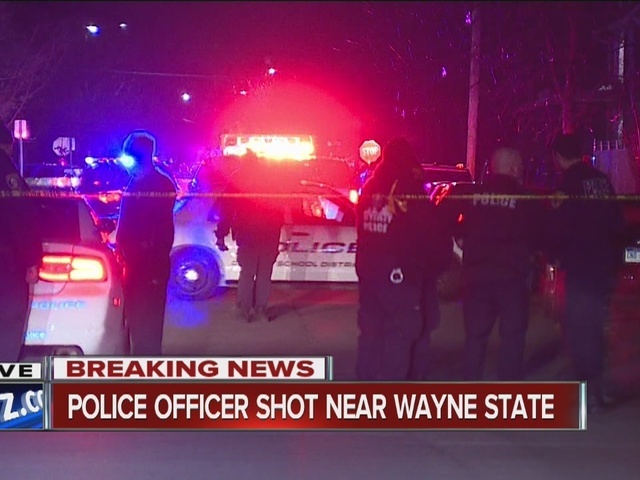 Officials say a Wayne State University police officer has not been shot in 36 years.